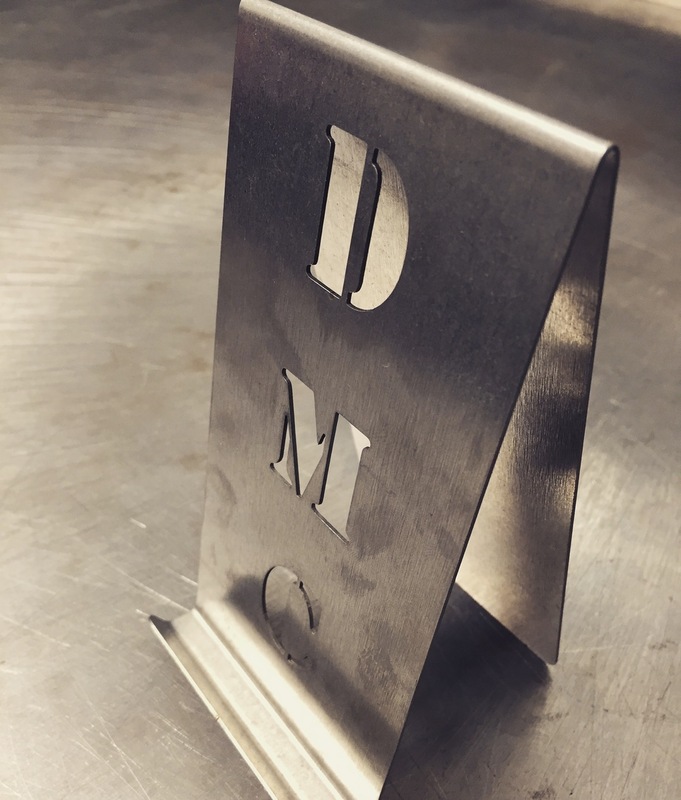 Learn more about the custom fiber and CO2 laser cutting services Dickmann Manufacturing Company in Milwaukee, WI provides. Have a question about our laser cutting services? At Dickmann Manufacturing Company, we are equipped with some of the most advanced CO2 and fiber laser cutters available. These systems represent the cutting edge of laser cutting technology. They allow us to run lights out and give us a level of process flexibility that is top notch for our industry. 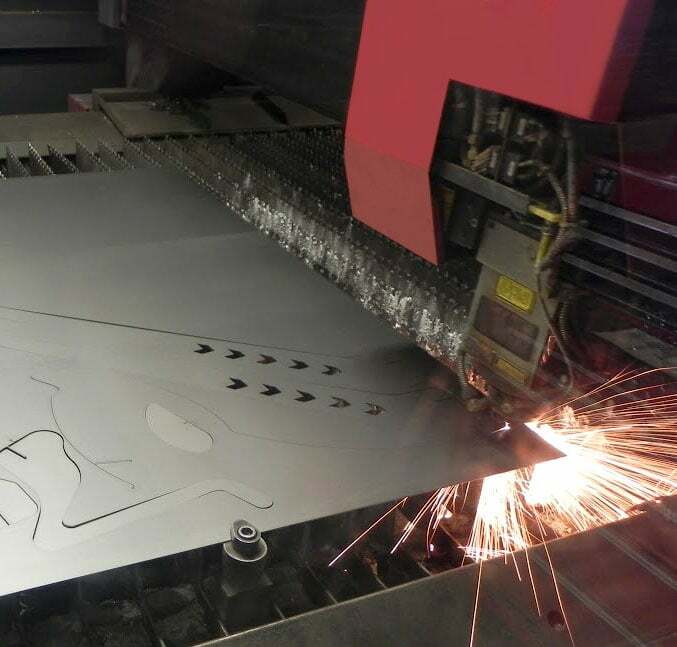 Our newly acquired fiber laser cutter is engineered for efficiency; cutting varying material thicknesses without a setup change and achieving cutting speeds of up to 1,496” per minute. It can cut materials such as mild steel up to 0.875” in thickness, stainless steel, up to .500”, and .375” for aluminum. It can handle sheets up to 120” by 60”. Depending on the material type and cutting thickness, kerf can be set to burn away between .006" and .012" of material with tolerances as tight as + .002”. Our CO2 laser cutter is configured with flying optics and a highly efficient shuttle table. It features 4000W of cutting power and can accommodate work pieces as large as 60” x 120” and diameters up to 58”. It can cut sheet metal as thick as .25” for aluminum and .5” for steel. Our laser cutting services are available for contract, OEM, prototyping, and general fabrication projects. We’ve worked with a wide range of steels including cold rolled, hot rolled, galvanized, prefinished, spring, stainless, and heavy plate. From initial concept to final production, we can always assist the customer with design, production strategy, and material choices. We’ve cut parts for an array of applications including HVAC, brackets, architectural ornaments, housings, art décor, lighting fixtures, and electrical panels. We’re a single source provider for our customers, supporting them with additional services such as tapping, welding, plating, machining, riveting, anodizing, powder coating, assembly, and more. From a single prototype to high volume production runs, we’re geared for both one-off projects and long term blanket orders. Since 1957, we’ve served numerous industries including agriculture, food, construction, consumer goods, HVAC, lighting, plumbing, signage, and furniture. We offer the confidence, technical expertise, and ingenuity to ensure that our projects are on time and on budget. We’ve established a set of comprehensive methods that govern our in-house operations; ensuring a high level of quality in all of our products. In addition, we can provide full compliance with standards by ANSI, ASME, and RoHS. To learn more about our laser cutting capabilities, please contact us directly.